HIGH STREETS: Business rates are a major issue – we should link rateable values with rent levels or property values. FOR MANY towns the traditional high street line-up of local family run shops is now a thing of the past. There’s a range of reasons for this dating back to the emergence of the supermarket in the 1950s, for example, and on to large warehouse type megastores. We’ve also seen the rise of American-style malls, out-of-town retail parks and big multiple retailers. These are all in a position to dictate terms and push up rents in the best location: often meaning those without the means to pay big sums are pushed further out – or go out of business altogether. Smaller firms also find themselves competing not just on rent levels but against the significant buying power the ‘big boys’ now have; retail giants like Primark can undercut any market stall trader. But if you ask many small town centre businesses what vexes them, chances are they will say it’s the cost of business rates. Even now with the small business rate relief in place many town centre firms simply do not benefit and the costs can be significant. Calls for a supermarket tax have been made in response, in an attempt to get some local benefit back from national supermarket operators. In Oldham the largest business rate payer, after the Royal Oldham Hospital, is already Tesco. Adding another small percentage on to what supermarkets like them pay would go some way – but would not generate enough money alone – to give traditional high street firms a fighting chance. Internet retailing is also a big development. This shows little sign of slowing down in its inexorable march to take a greater share of the UK pound; although that in itself isn’t necessarily a bad thing. Over the years we’ve seen many new businesses created here in Oldham from people with a great idea and a small amount of money, but they need a helping hand. In my view it’s time we called for a level playing field to give these high street outlets a fair shot. The Tax Justice Network has calculated that tax evasion in 145 countries worldwide costs $3.1 trillion every year. In the UK alone, more than £70 billion is lost, which could pay for more than half of the NHS budget. At a time of dwindling public finances and brutal cuts to services, people are beginning to wonder whether the status quo is right or fair. Although the culprits are numerous, particular attention has been drawn to discussion of a so-called ‘Amazon Tax’ in recent months in America. Critics of Amazon.com argue that its avoidance of paying sales tax in many states – despite having warehouses there – gives them an unfair advantage over ‘real life’ shops with storefronts. Following drawn out legal battles in courts across the country, Amazon is now forced to pay this tax in 20 American states. But what about here in the UK? Amazon is the UK’s leading online retailer, but it paid just £3.2 million tax on sales of over £4.2 billion last year. Although frowned upon my many, this is totally legal at present because HMRC allows it to get away with arguing that it should be taxed in Luxembourg. This situation is similarly dismal for countless other online retail corporations. If taxed fairly, the potential income to Britain’s economy from online sales could be transformational. A recent Ofcom study found that Britons spend far more money online than any other nation. On average, we click and spend £1,175 per person each year. Almost three quarters of us buy goods online every month, and nearly a quarter of us do it every week. The total revenue from UK internet sales in 2013 was £32 billion. Even if a tiny 1 per cent sales tax was applied to that, it would pump a much-needed £320 million back into the economy which could then be used to support hard working small business owners who often find themselves out-priced by e-retailers. The Manchester Evening News last year highlighted the unfairness in the current system of business rates which sees the location of struggling ‘Class A’ high streets priced out of regenerating themselves. Notably, it showed that a Fish and Chip shop in Rochdale was paying more than Harrods and Harvey Nichols (per sq metre). At a time when businesses are closing it isn’t just price-sensitive punters who are encouraging more charity shops to open. The huge discount they get on business rates (80-100 per cent) means that even by paying market rents they can afford to operate on the high street. My suggested solution is simple. I would make internet retailers pay UK tax on purchases sent to UK addresses. It’s time to end companies abusing legal loopholes by basing themselves in tax havens. An additional 1-2 per cent ‘convenience sales tax’ should also be applied to purchases online. This is to recognise the cost savings of a non-high street presence and the fact that a great number of traders are international and providing very little local benefit. We should also link rateable values with rent levels or property values. This would make sure that the local trader in Rochdale isn’t paying more than Harrods in Knightsbridge, and that the out of town retail shed isn’t paying less than a town centre newsagent. These measures (or even just one) would help to fund an overhaul of business rates which could see the high street at least given a fighting chance in the future. There will be conflict which we will need to address, however, not least of all for local councils and the move to self-financing. If the review of rates linked to local property values wasn’t carried out properly it would simply mean more cash for wealthy councils like Kensington and Chelsea and far less cash for us here in Oldham. I’m sure academics can make the case for or against all of these points and I suspect some might even not be possible, but many people would at least agree that the status quo isn’t really an option either. 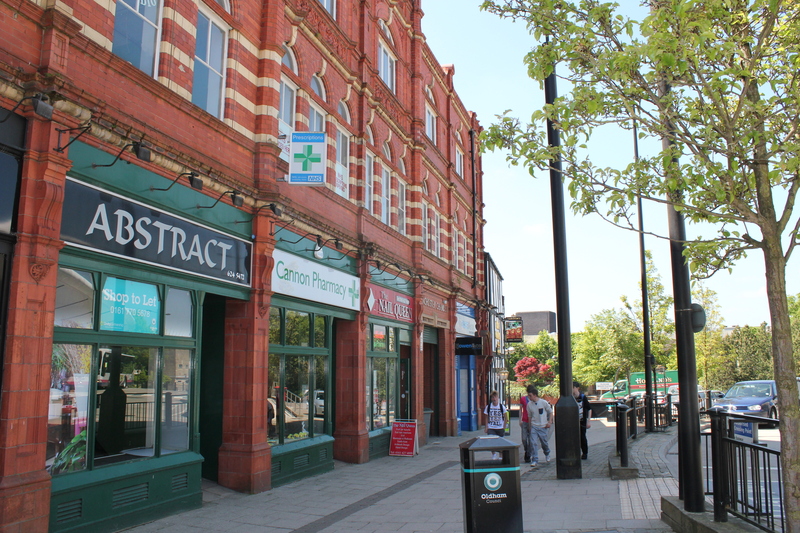 OLDHAM: Much proactive work is underway to stand up for the health of the high street. 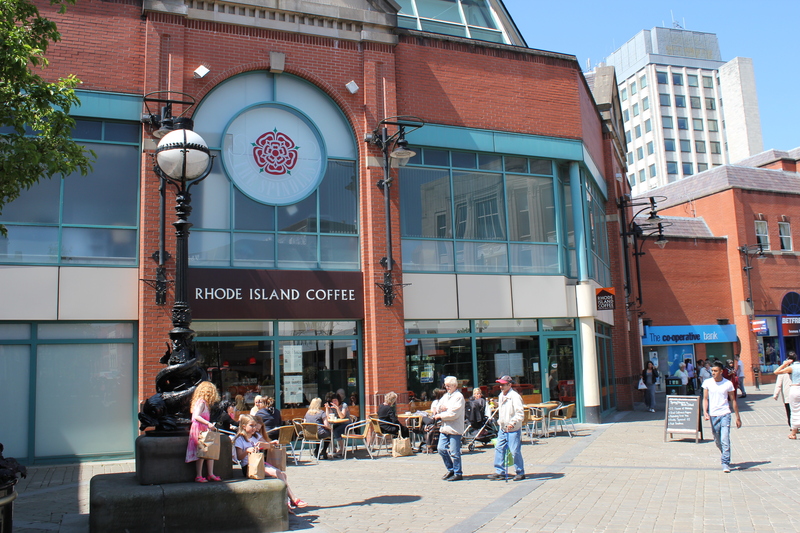 – We are balancing new development evenly across the town to ensure we maintain footfall levels and don’t displace customers. – Even though budget reductions have affected us, we’ve reviewed council-owned buildings out of town and relocated staff – around 500 extra staff are now based in the town centre as a result. – We have also scrapped weekend car parking charges for up to three hours and on street charges for up to 30 minutes daily. – We have worked with businesses to create a programme of events and activities as well as specialist craft and student markets. – We have invested in a combined central library, gallery and tourist information place as we work to attract new visitors as the Gateway to the Pennines. – We have established the Enterprise Trust to offer grants totalling £1 million to new business ideas and an additional £1 million High Street fund to create a Yorkshire Street independents quarter. – We have acquired a significant number of buildings in the independents quarter which allows us to offer cheap and more flexible leases. – We have invested in markets, bringing stalls onto the high street and supporting new businesses to open in Oldham, now meaning Tommyfield Indoor Market is 98 per cent full. – We are creating a new Town Team to ensure businesses have on-site support, mentoring and access to grant funding, as well as ensuring basic maintenance is done to a high standard. – We have invested more than £3 million to upgrade our new Metrolink stops and deliver a brighter ‘welcome’ to visitors. – We have created a £150m capital investment fund which will add variety to the town centre in the form of a new leisure centre, cinema, restaurants, bars, shops, theatre, heritage centre, hotel and conference centre as well as the tram system and new public spaces. – We have also supported private investment in new offices, investment in the shopping centre and new town centre residential developments. All that – and there’s more to come – because here in Oldham we are determined to fight back and stand up for the high street. But it’s also time the Government pitched in to help with things that lie outside of our control – and what better place to start but with unaffordable business rates? Today Manchester, tomorrow the world! Would this ‘convenience sales tax’ apply only to those businesses without a high-street presence? The reason I ask, is that many local businesses now have an online presence which forms a much needed additional revenue stream. If applied indiscriminately, its effects could be devastating.